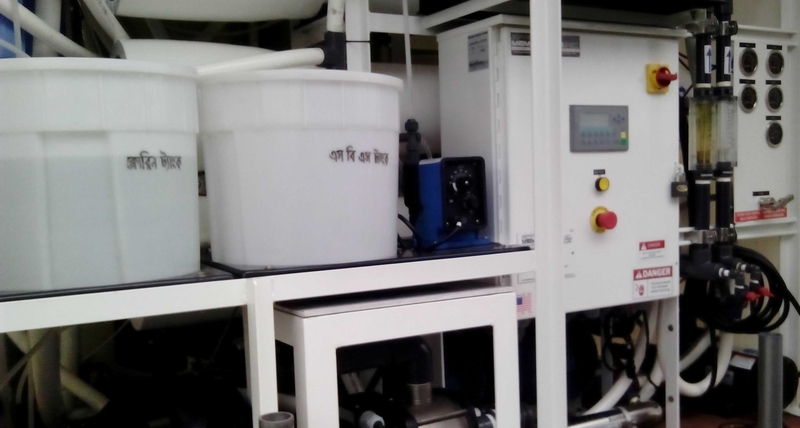 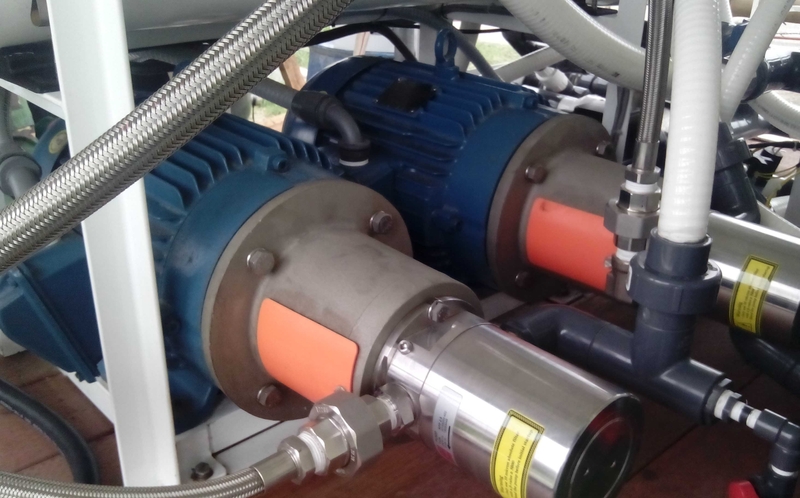 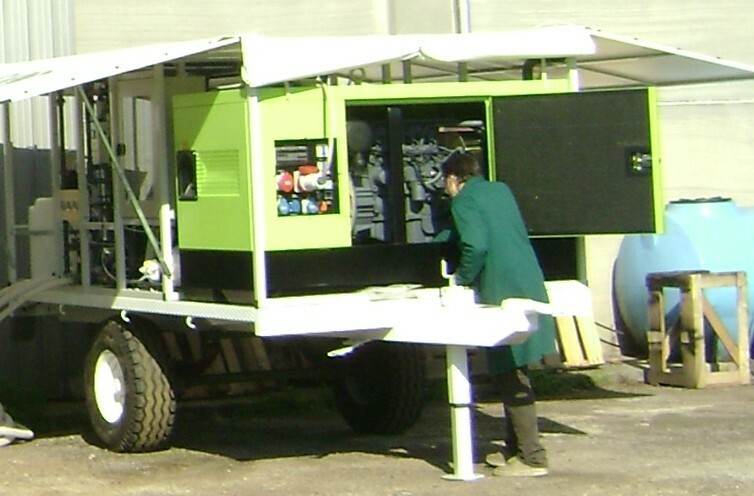 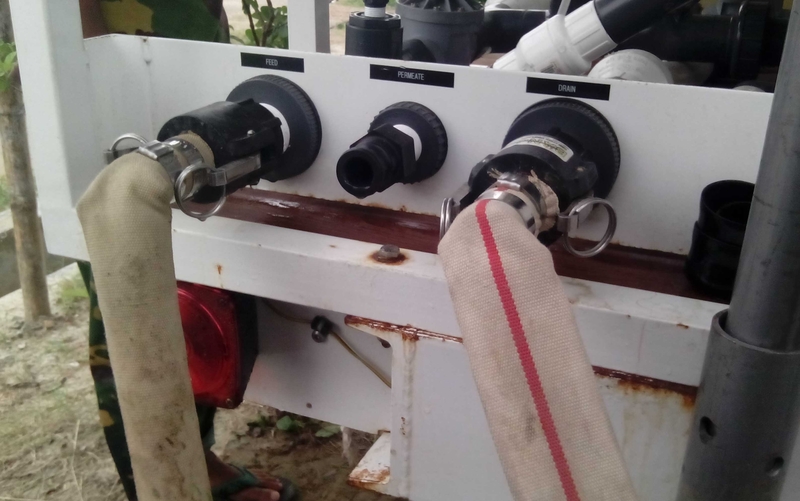 Trailer-Mounted Seawater ROWPU Systems for UN Military Disaster Relief | Applied Membranes Inc.
Trailer-mounted SWRO systems custom-engineered for the UN to provide a total of 132 GPM of potable water for military disaster relief in Bangladesh. 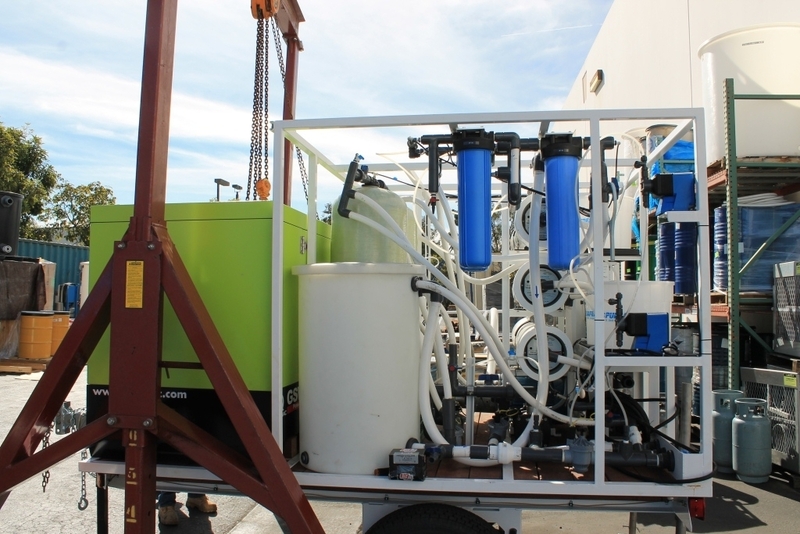 The project consisted of 15 trailer mounted seawater reverse osmosis systems producing 8.8 GPM from open-intake seawater supply. 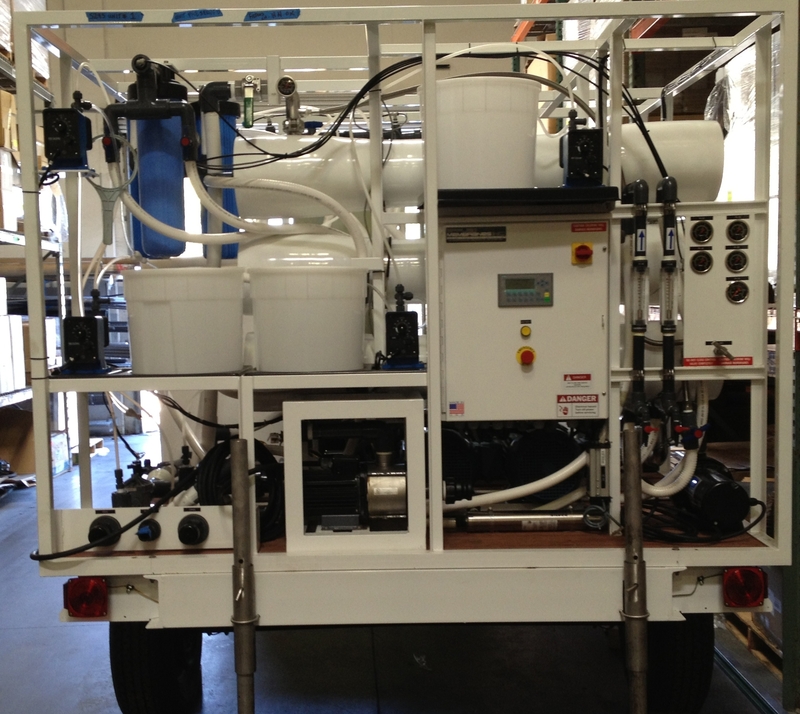 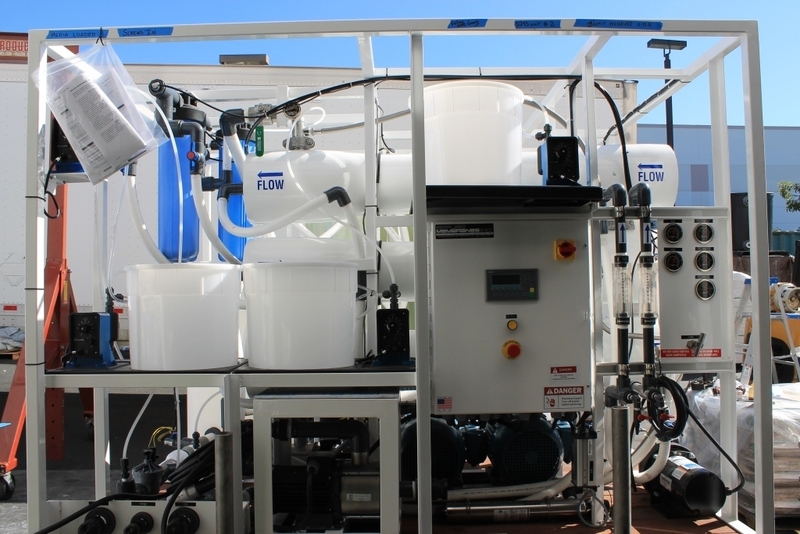 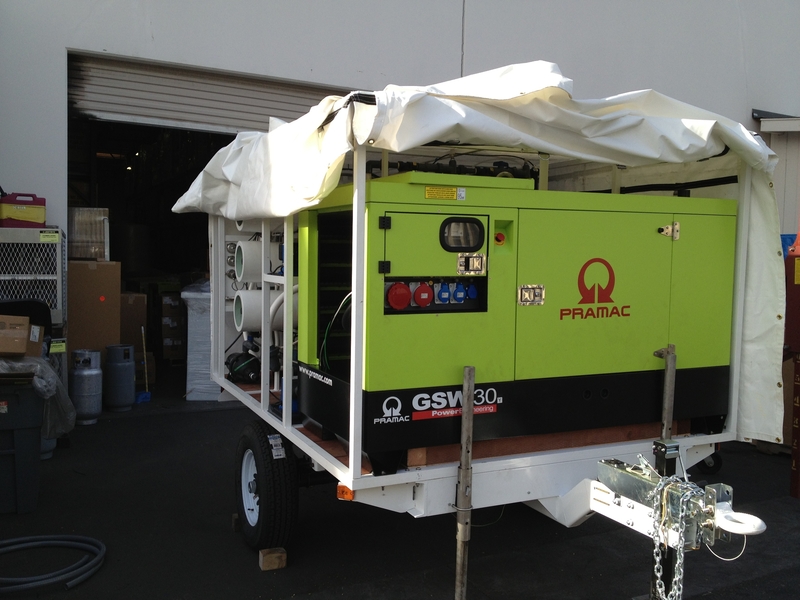 Each trailer is complete with ultraviolet disinfection, media filtration, chemical injection pretreatment, Seawater RO System, product water chlorination, PLC touch screen controls for automatic operation, and Genset diesel generator to power the system. 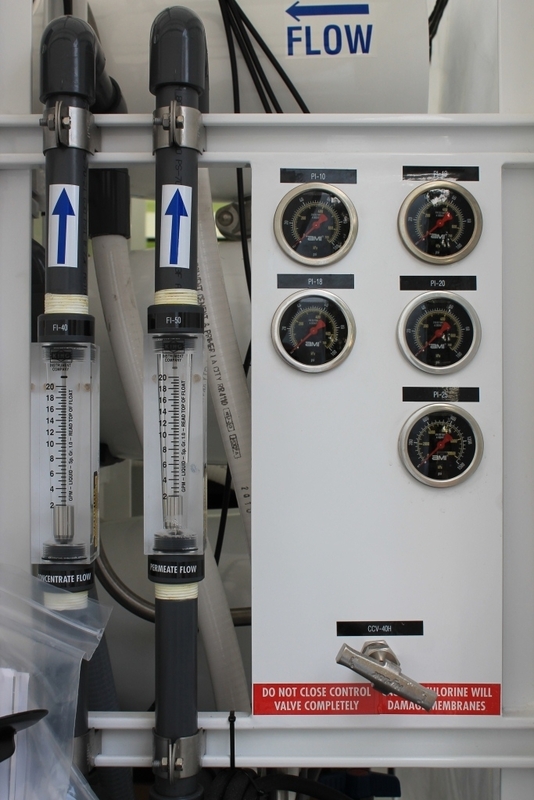 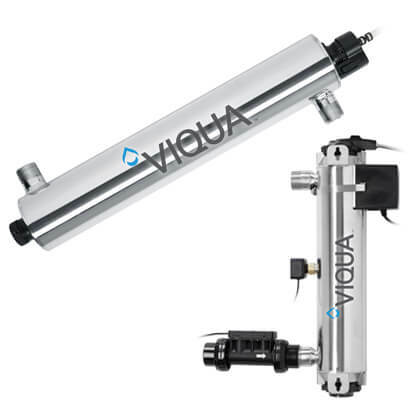 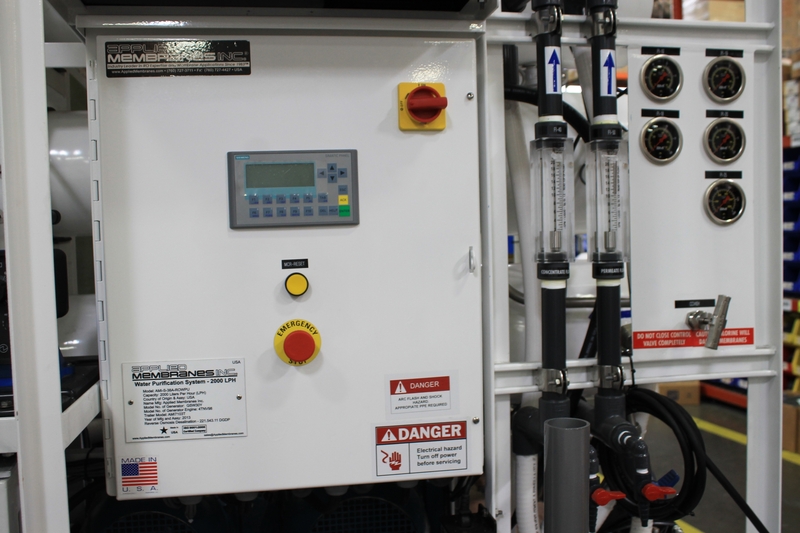 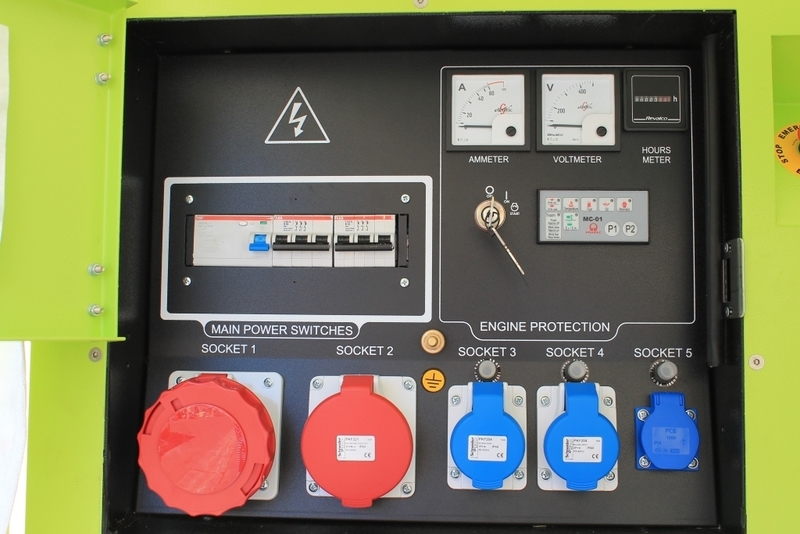 Designed for fast installation and serviceability with easy access for membrane maintenance, central piping connection panel, and local instrumentation.